There is a modification for that! When you say yoga what comes to mind? Many people have a preconceived, some times negative, idea of what yoga is and what the people who practice are like. The truth is there is a long list of benefits of a regular yoga practice. Some of the common benefits include stress management, lower blood pressure, increased energy, improved flexibility and strength, and improved overall health and wellness. The trick is to pick a practice that aligns with your needs and goals. Here at Life Keys Energy we believe yoga should be fun and available to everyone. We offer upbeat, spunky yoga teachers, fun play lists, and teachers who are well versed in props and modifications helping you find your appropriate space in every pose. The first step in finding your perfect class is understanding the different types of yoga that is available. 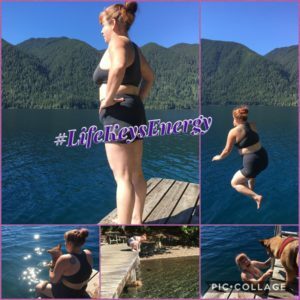 Here at Life Keys Energy there is a practice for everyone. Vinyasa or Flow – The traditional vinyasa flow focuses on breath and alignment. In general, each pose is held for a breath and then you flow to the next asana or pose. This is an excellent practice for building strength and flexibility, while calming the mind. Slow Flow/Gentle – This is a breath based, alignment focused class in which we use props and move at a slower pace. It is designed to help you increase flexibility and strength while moving slowly. The slower flow lends itself to more introspection and over all calming. It is appropriate for all fitness levels and an excellent starting point for anyone wishing to explore yoga. Restorative/Yin – In this class we ask the props to do the work for us, while we lay on them feeling fully supported. 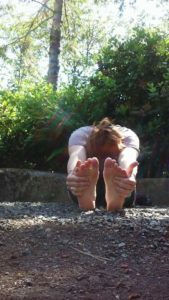 This practice encourages passive stretching and encourages the parasympathetic nervous system to activate, resulting in increased flexibility and overall sense of calm. A regular restorative/yin practice lowers the stress response in the body, settles to mind, and improves flexibility. It is appropriate for everyone. Yoga TRX – The TRX can be used as a prop to make poses accessible that are not yet available on the mat. It can also be used as a tool that makes poses more challenging. This class is excellent for building strength and flexibility with the added cardio benefits. It is an excellent supplementation for your regular yoga practice. Prenatal/Postpartum Yoga – This class is lead with the knowledge of what is safe and what feels good during the different stages of pregnancy. The benefits of yoga during pregnancy are: improved sleep, reduced stress and anxiety, increase the strength, flexibility and endurance of muscles needed for childbirth, decrease lower back pain, nausea, carpal tunnel syndrome symptoms, headaches and shortness of breath. Trauma Informed Yoga – This practice is one that is designed to create a safe and comfortable environment for those who have experienced trauma. We create a safe and predictable environment allowing for relaxation and potential healing to occur. There are 2 yoga teacher’s here at Life Keys Energy who are certified in this practice. At this time, we do not have a specific class designated for trauma recovery, instead we incorporate these practices in all of our classes. Laughing Yoga – This is a pranayama (breath work) practice involving prolonged voluntary laughter. Laughter yoga is based on the belief that voluntary laughter provides the same physiological and psychological benefits as spontaneous laughter. It encourages joy and is an excellent tool for those experiencing anxiety, depression, or PTSD. Pranayama – This is the formal practice of controlling the breath, which is the source of our prana, or vital life force. When you tune into your breath you can reduce the stress response in the body, thus lowering cortisol and adrenaline. Prolonged deep breathing increases oxygenation of the blood. It has been shown to help with anxiety, stress reduction, asthma, lowering blood pressure, and more. We include this practice during our yoga classes. Meditation – There are many ways to meditate, including guided meditation, moving meditation, and zazen (still mind). There is not right or wrong way to meditate. This regular practice has been shown to decrease stress, anxiety, and depression while increasing feelings of happiness, self-acceptance, and concentration. It also improves the immune system, aids with restful sleep, and may slow the signs of aging. Every class is designed with safety and comfort in mind. Our classes also may include aromatherapy, warm essential oil infused washcloths, verbal and physical assists, and other extras to help you relax even deeper. If you have questions about which class is appropriate for you reach out, we are happy to help. We are looking forward to seeing you on your mat. Author LifeKeysEnergyPosted on January 25, 2018 December 7, 2018 Tags modifications, pranayama, trauma, wellness, yogaLeave a comment on When You Say Yoga What Comes to Mind? Most people who know me or know of me, understand that I love yoga. Most people do not know why I am so passionate about having a daily yoga practice. Yoga literally saved my life. 9 years ago I was addicted to pain medications and vodka. I was suicidal and had attempted suicide a few times. I was living in this suffocating dark abyss. I had lost all hope and couldn’t even imagine how life might improve. So how did I go from that to what you all know now? 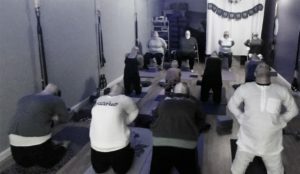 Yoga and sobriety. I had started playing around with yoga before I got sober, but I was doing it for all the wrong reasons. I was doing it for a means of getting attention, not for the healing and life changing aspects of it. In rehab I started fumbling around with some very shaky Sun Salutation A and B and meditation. It was shaky for many reasons, the main one was in my last suicide attempt I gave myself a brain injury. 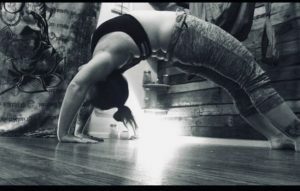 So, literally at the start of my yoga journey I had balance issues, motor planning problems, couldn’t feel where my body was in space, and was learning what it felt like to be in my body instead of numbed out by opiates and alcohol. That is a-lot of road blocks! Incredibly, yoga met me where I was. I was blessed with several instructors who helped me make modifications, so yoga became possible. I became stronger, more flexible, and incredibly I became centered and calm. The changes on my mat eventually became transformation off my mat. Every time I wanted to use, I got on my mat. Every time I started to have a panic attack, I got on my mat. Every time life got “too big”, “too much”, just “too” I got on my mat. These are many of the reasons I adore yoga and am forever grateful for the practice. It is these reasons why I say “Yoga is for EVERYBODY!” and mean it. There are modifications available to meet you exactly where you are right now. I approach yoga with curiosity, suka (ease), and lila (play) this is how I share my passion. I am forever grateful for my yoga journey. Where will your yoga journey take you? What road blocks are you starting out with? How can I help you get onto your mat? Shine bright my friends, you are worth it! I think we all have moments of anxiety and feelings of overwhelm. However, some of us stay in that heightened state for longer periods of time than others. It is also easier for some of us to fall into an anxiety state. I spent many years on prescription anxiety medication and when those didn’t work I added vodka to the mix (this is NOT recommended at all!) . My panic attacks got so bad I didn’t leave my house for several months. It took years to fully detox from all the medications I was on and learn how to handle my anxiety instead of drown in it. I still have anxiety. I still have panic attacks, though not nearly as frequently. Here are some of the ways I have learned to handle this uncomfortable state. 1. Breathe…I have noticed one of the first things to go during anxiety episode is my breath. Deep belly breaths, alternate nostril breathing, and 4-4-4-4 breaths are all excellent ways to regain control of your breath, while adding much needed oxygen to your being. Kicking in your parasympathetic nervous system and getting yourself out of fight, flight, freeze is crucial in panic attacks. 2. H.A.L.T…. (hungry, angry, lonely, tired) When I am tired, run down, or plain exhausted my mind starts to amp up. I can over-think everything and end up in a puddle of anxiety. When my heart starts pounding and those feelings of drowning start to encroach I run through H.A.L.T., many times my solution is found in one of those. 3. The 4 questions from Byron Katie…since overthinking is one of my major components to my anxiety I have found Byron Katie’s work to be super useful for gaining perspective. Her 4 questions are: Is it true? Are you absolutely sure that it is true? What happens when you believe that thought/response? Who would you be without that thought/response? 4. Journal…I journal everyday. I keep a gratitude journal, a worry list, a magick/meditation journal, and a free writing journal. Journalling gives me a place to express the chaos in my head and helps me get my words out. 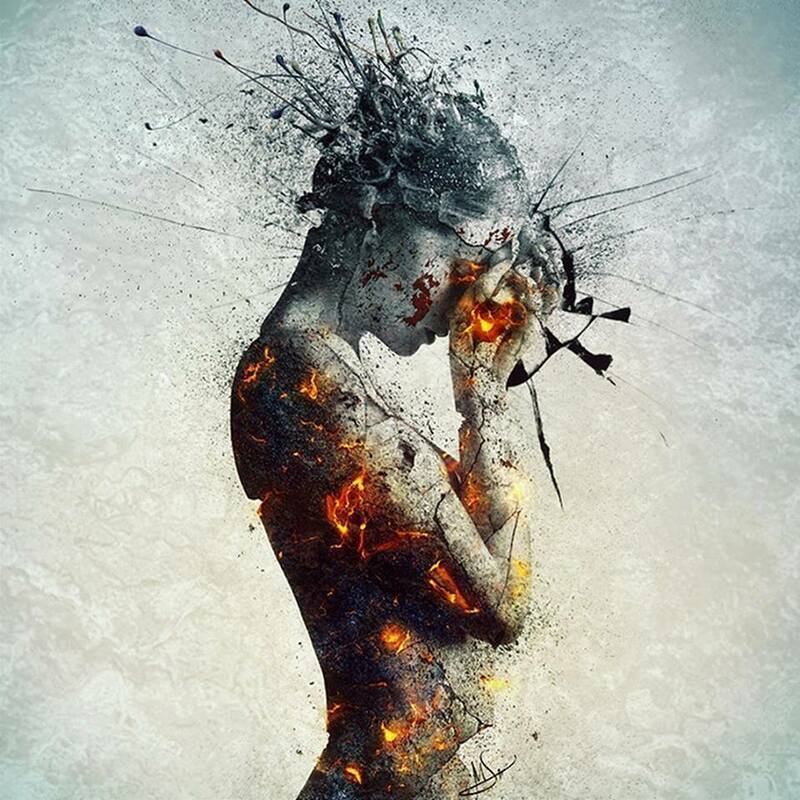 Often I find the root cause of my issues by simply allowing myself to purge all the thoughts in my head. My worry list has shown me that most of what I worry about never comes to fruition. My gratitude journal keeps my focus on where I want it to be. I can often find patterns in my free writing journal. All of these have been major tools for me over the years. 5. Move… For me movement is a way to release cortisol and adrenaline while boosting endorphines and gabba. 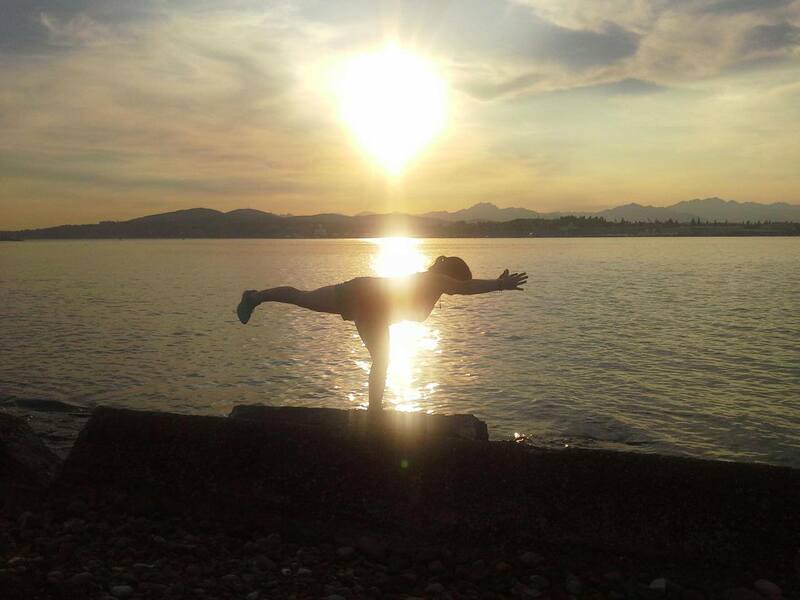 Some of my favorite ways to move are yoga, qigong, walking in nature, and dancing at home. Taking the time to move helps put me back into my body and gets me out of my head. 6. Meditation..This is one of my go to tools. There are many ways to meditate, depending on what is happening will effect what kind of meditation I choose. Guided meditations have been especially calming to me in times of angst. 7. Phone a friend.. There are times I have run through all I know how to do for myself and when this occurs I reach out to a couple of people in my life. Sometimes a voice of reason and calm on the other end of the phone is what is needed. Both of my people understand me well and will start to ask questions walking me down a path until I have a new solution to try. There is always a solution. Being proactive in uncomfortable situations helps me regain control faster. It also helps me identify the cause so I can actually resolve the real issue. There are many ways to deal with anxiety, the key is finding many tools that work for you. What have you found that helps you? What can you incorporate into your life? Shine bright my friends, you are worth it!